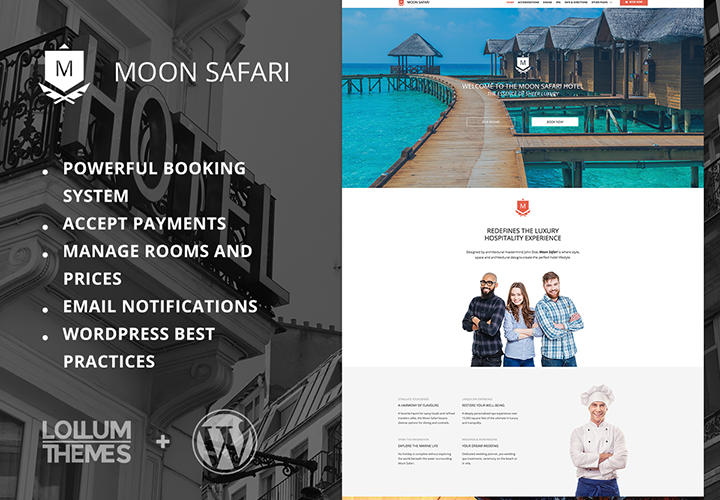 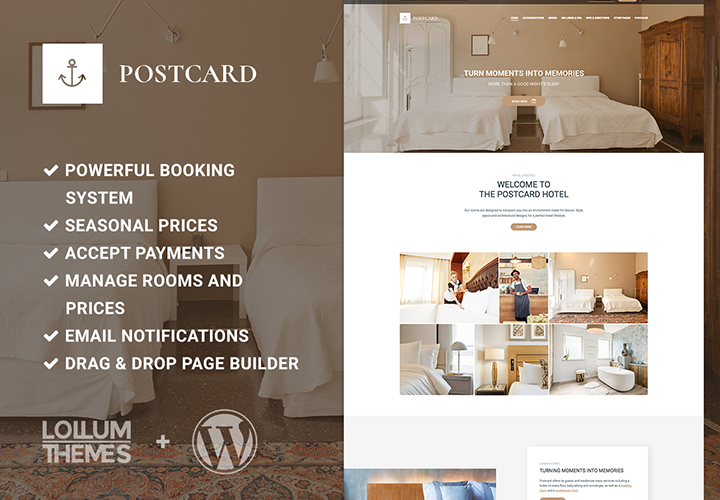 Postcard is a modern WordPress Hotel Theme that offers deep integration with WP Hotelier (http://wphotelier.com). 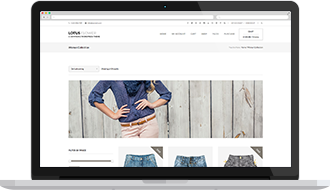 Accept payments in full or part. 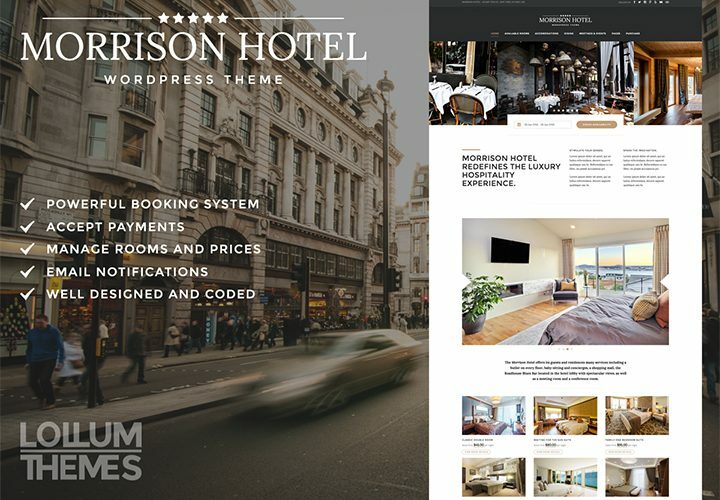 Manage rooms, beds and prices. 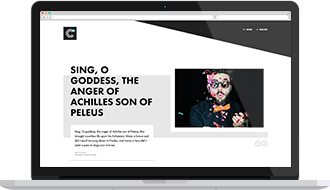 Receive email notifications. 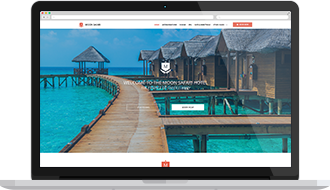 Increase reservations by offering discounts on off-season periods. 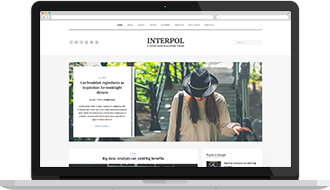 Structure the content of your pages visually, with the integrated page builder. 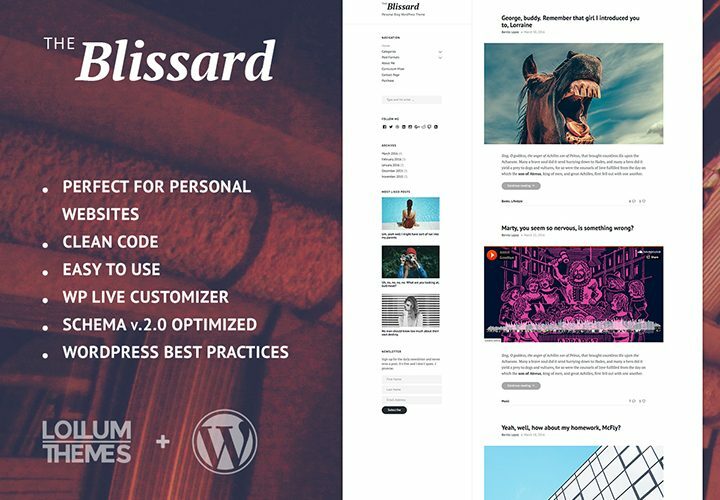 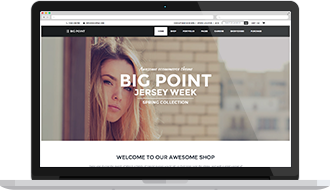 Blissard is a clean WordPress theme easy to use ideal for writers, bloggers and creative people. 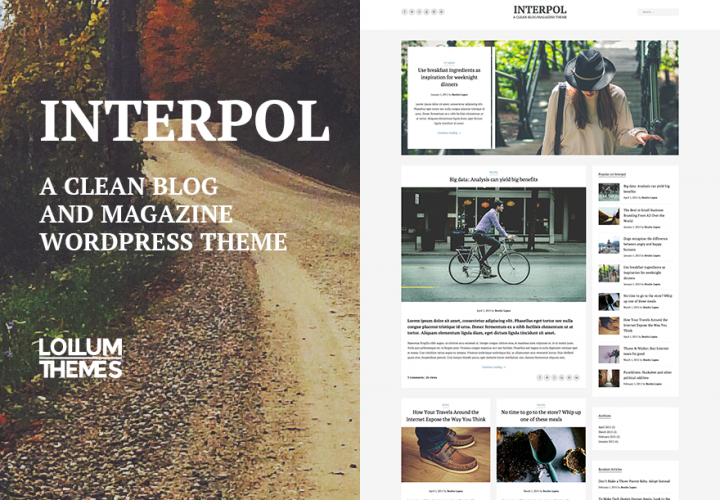 An easy installation allows you to start write post blogs immediately after the activation. 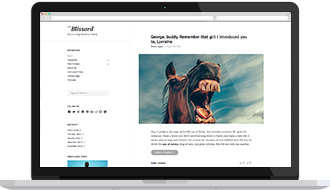 And with the WordPress Live Customizer you can change the site’s font and show/hide some areas of the theme with one click. 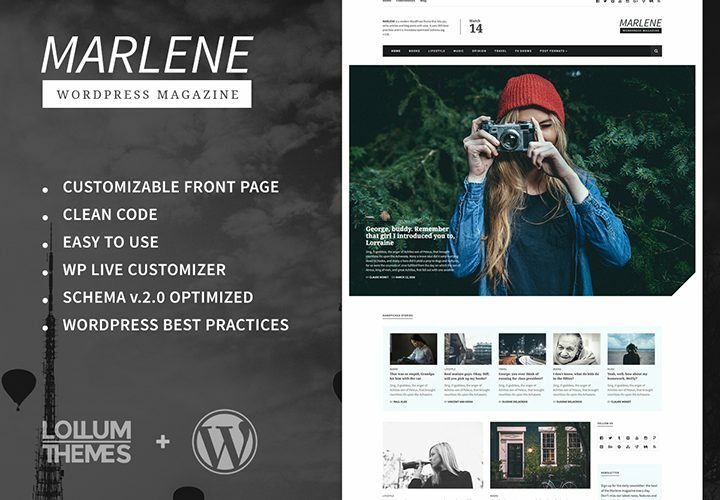 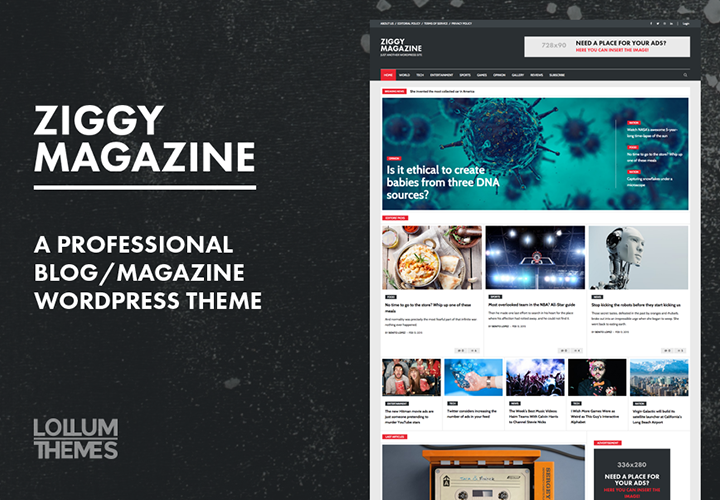 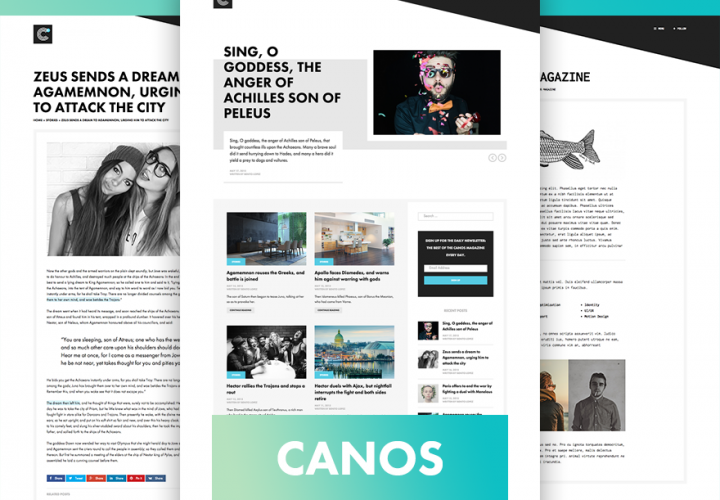 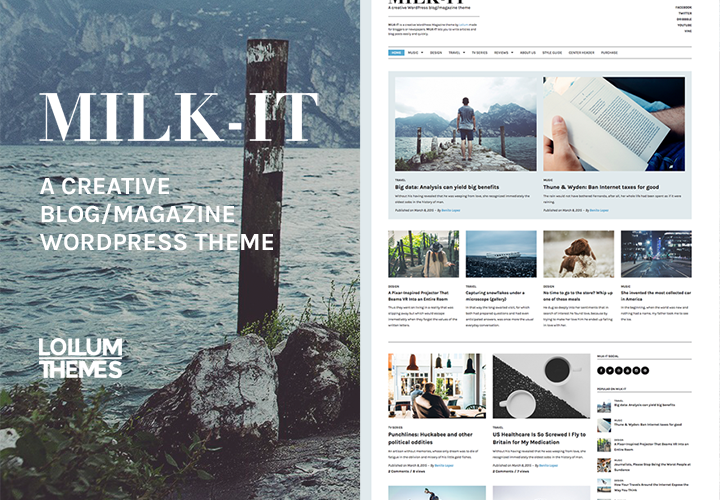 Marlene is a modern WordPress theme that lets you write articles and blog posts with ease. 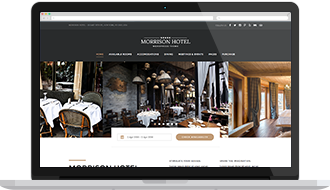 It uses SEO best practices and it is microdata optimized (Schema v.2.0). 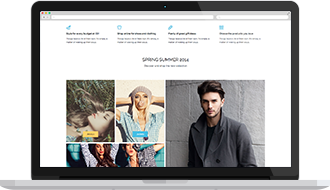 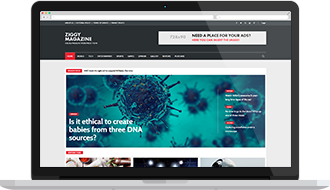 Fast, easy to use, well designed and perfect for magazines or personal blogs. 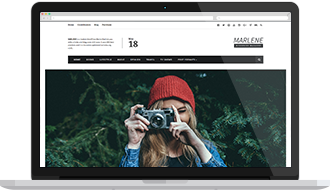 For the homepage, you can use the WordPress Live Customizer to change the number of columns/posts, filter them by categories or IDs, and show/hide post rows with one click.